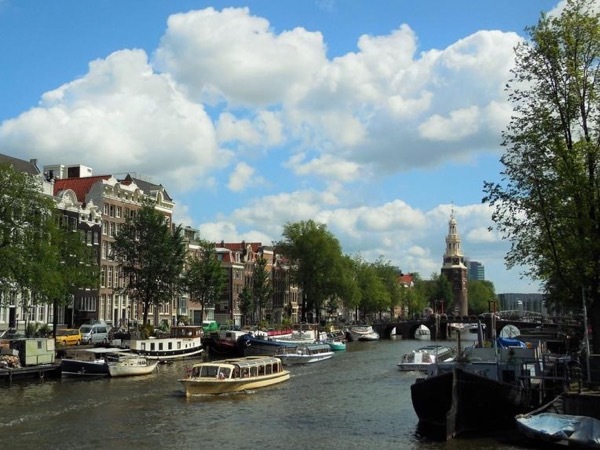 Traveler Reviews for Private Tour in Amsterdam, Netherlands by Tour Guide Ravil F.
About Ravil F. Message Ravil F.
He was fab. We would highly recommend him. He helped us even book dinner reservations! Gave fab tour. Wonderful guide and tour. Thanks!! Ravil did a great job showing my wife and I the highlights of Amsterdam. He was very personable and considerate of our personal interests and needs. The time we spent was not only informative about the history of Amsterdam but brought to the level of a friend sharing the sites of his home town. I would highly recommend Ravil as your personal guide to Amsterdam. TOUR GUIDE RESPONSE: Thanks for your response. Ravil is a fine guide with an excellent fund of knowledge. He speaks English with a Russian accent (he is from Moscow) but he is very understandable. He took us on a tour of the highlights of Amsterdam and walked at a comfortable pace. Midway through the tour he stopped so that we could rest and get a drink and use the bathroom. We used a Tram to get from our hotel ( the Amsterdam Hilton) to the city center. It was a convenient way to travel but warm and stuffy. All in all we enjoyed his tour. Ravil did an excellent job. He is knowledgeable and make the tour fun. Highly recommended. TOUR GUIDE RESPONSE: Thank you very much for the excellent review. My guide was very knowledgeable and amusing. I found this to be a wonderful was to get to know the city better. I would recommend doing this tour as a launching pad for your stay in Amsterdam. TOUR GUIDE RESPONSE: Thank you very much for your response. Ravil was unbievably informed about Amsterdam and it's history. We felt te points of interest he took us to we're all worth while and his knowledge of each of them was excellent. We agreed we would love to have him guide us again on our next trip! TOUR GUIDE RESPONSE: Thank you very much for your response and for your feedback. I really appreciated. TOUR GUIDE RESPONSE: Thank you very much for submitting your rating. Ravil is a wealth of information and very willing to change the scheduled tour based on our desires. He did an awesome job for us and was a lot of fun. His knowledge of the local history was extensive. Pleasant and engaging throughout the tour. You will not be disappointed with Ravil's tour!! TOUR GUIDE RESPONSE: Thank you for your response. It was a pleasure to work with you guys. Ravil gave us a great walking tour of Amsterdam. The communication was great before the tour. He made sure we were all dressed appropriately for the cold weather and met us at our hotel. Gave us a lot of information about local history and pointed out places to visit on our own. Ravil was a great guide and very accommodating to our schedule. He met us at our boat hotel which was away from the normal city hotels. He adjusted and slightly extended the tour to take advantage of our location. He is very knowledgeable about the history and architecture of Amsterdam. We walked about 4 miles during our tour and the pace was quite comfortable. Overall, we had a great tour and would recommend Ravil to our friends and family. Ravil was extremely flexible and provided multiple options to help with our schedule and interests. He is a man of history. Besides the top class information he provides about the various parts of the city he shows during his tour, he also provides a window into the socio-economics of the local people and culture in the present days. Highly recommend this tour! Ravil was helpful and informative. Great tour. TOUR GUIDE RESPONSE: Thank you Kathleen, I really appreciate it. Hope your daughter did enjoy the city.